So much has happened since my last blog date with you all – I left my job, started a new one, said goodbye to old friends and hello to the new, finished one quilt, started another AND lived the rest of my life in-between! I’ll admit it’s hard to find the guts to leave something that’s become so comfortable and routine for so long and start something that’s completely different. But I’ll get used to it and plod along as I find my feet along the way. 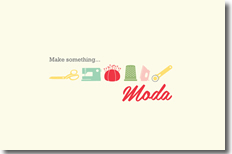 This wonderful quilter, living inMelbourne, is the epitome of the modern quilting movement inAustralia. Her designs make me feel envious indeed! Her projects heavily feature appliqué (all types) and hand quilting which give the style of lovingly handmade and original. This inspiring self-taught crafter has a wonderfully neat and deliberate style of sewing that is classy, fresh and unique. With an unlimited mind full of inspiring stitchery’s, quilts, wall-hangings and knick-knack pieces this is a sweet blog to get the creative juices flowing again! Also, check out some of the clever tutorials that are available: they’re free, easy to follow and feature handy photos to keep track to. This little beauty is something slightly different, a little bit quirky, very modern and a little bit retro-ish. Covering all things sweet and adorable, this blog has inspiring craft ideas like print your own fabric; make your own doily lamp shade, sew your own Chewbacca softie (!!) as well as make some very cool pieces of jewellery! Everything is awesome on this blog! 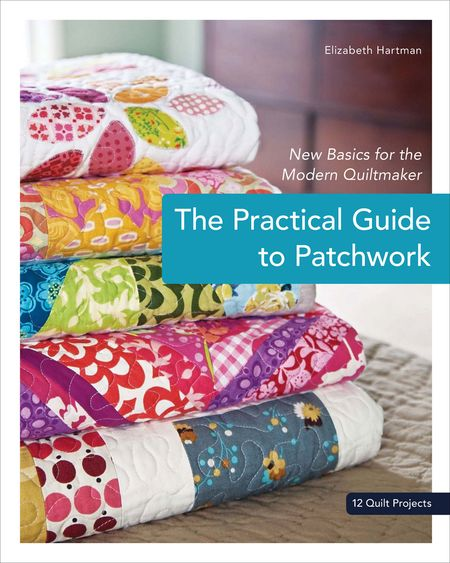 I just recently bought Elizabeth’s ‘A Practical Guide to Patchwork’ book and loved the simplistic modern quilts she designs. Even though this book leans more towards the beginner quilter, I’ve found it helpful anyway, as any tips and hints are always great to store in the mind plus some things you do forget and being reminded is always helpful! I’m much inspired by the colour and pattern choices thatElizabethchooses and admire the way she executes her quilting techniques to match the styles of her quilts. Bonus:Elizabethhas posted some great online tutorials and patterns to use for free along with some handy-dandy quilting tips and FAQ’s! Love it! I envy these talented people who have the opportunity to work fulltime as textile and/or quilt artists! Just the thought of having the freedom and courage to do that makes me weak at the knees! (One day! One day it’ll happen!) Well, Cyndi Walker is a very lucky and clever woman and I absolutely love her quilt designs, fabric and colour choices as well as her books. I’m seriously thinking of purchasing some of her patterns and hoarding them for future reference and inspiration! 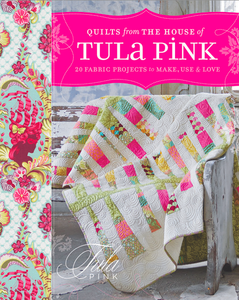 Tula Pink is an extraordinary textile designer and quilter and I admire her quirky and clever nature and spin on the quilting world. Her fabric prints are just gorgeous and her take on modern quilt designs is inspiring! Check it out – you won’t regret it!! Now this guy is awesome! 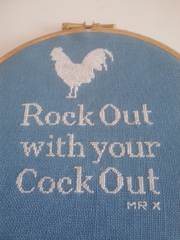 As what Chef Duff from Ace of Cakes is to cakes – this guy is to embroidery and stitcheries. He’s made the humble Nanna knitting and stitching past time into something that is uniquely hip, controversial, modern and accessible for the 21st century artist. He and a punch of other ridiculously talented stitchery artists from around the world have compiled a book called Push Stitchery. Hence named due to the way they push the creative boundaries of stitched art. This book is a one-of-a-kind gem of find and encourage all you embroidery and stitched art fans to get it, read it, be inspired and try something different for yourself! Then share it with others! Now these blogs are by some of my all-time favourite wholesale manufacturers that bring us quilter’s beautiful rich, luscious, tactile fabrics that make me wee my pants with excitement! This is such a fun and bright webpage! I love it! With so many links to discover it’s so hard to choose where to start first! Download crafty wallpapers for your computer and iphone/ipad, check out new and exciting fabric ranges, notions and products, meet the designers behind your favourite fabrics, print out free patterns and discover handy tips and measurement guides for all your sewing needs. I admire a great website that’s so functional to users who are (slightly) computer illiterate. And of course let us not forget the wondrous find of Pinterest and the awesomeness it brings to my life and as well as others! I’ve only been using Pinterest for over a fortnight, but it makes me realise just how many places I find my inspiration from as well as discover insanely talented people who are more than willing to share their ideas, inspirations, mistakes and worries to the rest of the world. Whenever I’m on the website I find myself making new boards for new finds of things I just love. From quilts to fabrics, products I love, arty-farty pieces and noteworthy books I’m always finding new and exciting stuff to pin. I’m so dangerous on that website! Talking of dangerous websites and along with good informative blogs, I’m always on the hunt for some good quality online fabric stores. I know of a few great Australian sites that supply some great ranges of fabrics at great prices. I do know of some international ones but have yet bought from them due to currency differences and postage and handling charges. Based inMelbourne, this irresistible store has best online collect of fabric ranges I’ve discovered yet. They have a link especially for Australian textile designers only along with everything else sorted into its appropriate space. Everything they sell is beautifully presented including detailed descriptions of each of the fabrics and the prices are reasonable. Postage used to be free, now it cost $5.95 (unlimited I think?) but everything is cut, folded and posted to you neatly and quickly, which is one of the reasons I keep coming back! Duckcloth operates out ofVictoriaand features a lot of organic and eco-friendly fabrics, like linen and hemp, along with all the sentimental fabric ranges we’ve all come to love. They have a superb blog, tick, free postage when you spend $120 or more (which is very easy to do – trust me! ), tick, they accept pay-pal, tick, and guarantee fast delivery, tick! This is the website to come to for all of your genuine well-known fabric designers, jelly rolls, charm packs, fat quarter bundles, layer cakes, quilt kits and patterns. With reasonable pricing, quick postage and super sweet fabric ranges, this store is becoming a ‘weekly browse’ favourite. It’s almost like a mini Australian version of the Fat Quarter Shop! Based inQueenslandthis is an awesome little online shop specialising in retro modern and natural organic fabrics. They also have a retail store that you can pop into and buy some purtty fabrics, ribbons, notions and sweetie little gifts. With a wide range of fabrics to choose from you’ll love browsing (just like I do) through all the different categories and ranges they stock. They accept pay-pal as well! Score! 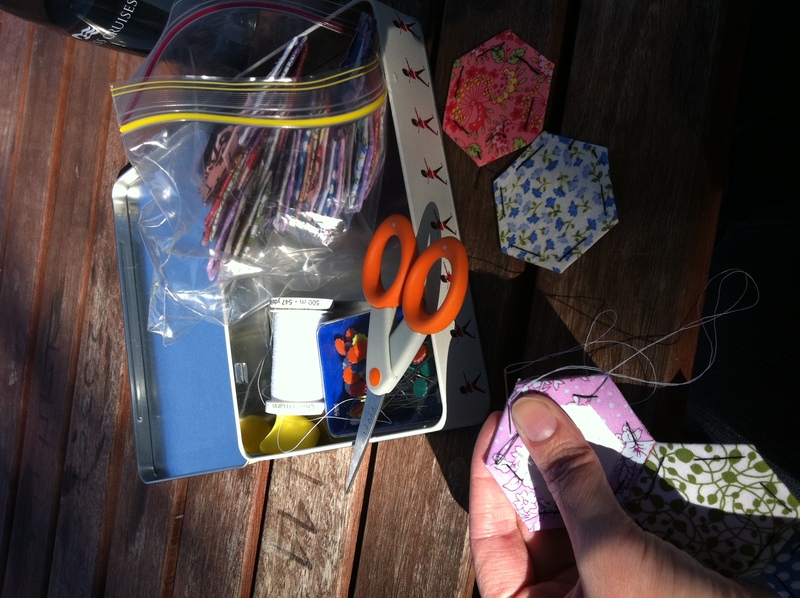 This online store pretty much has everything that one quilter will need and want in a life-time! It’s bright, vivid, up-to-date, accepts pay-pal (!!) and sells quality Christmas fabric all year round. What could better? Oh, I know! Open a store especially for us Aussies!? Oh man! These lucky Americans get all the awesome online fabric stores! Just check out the link and you’ll know what I mean…. 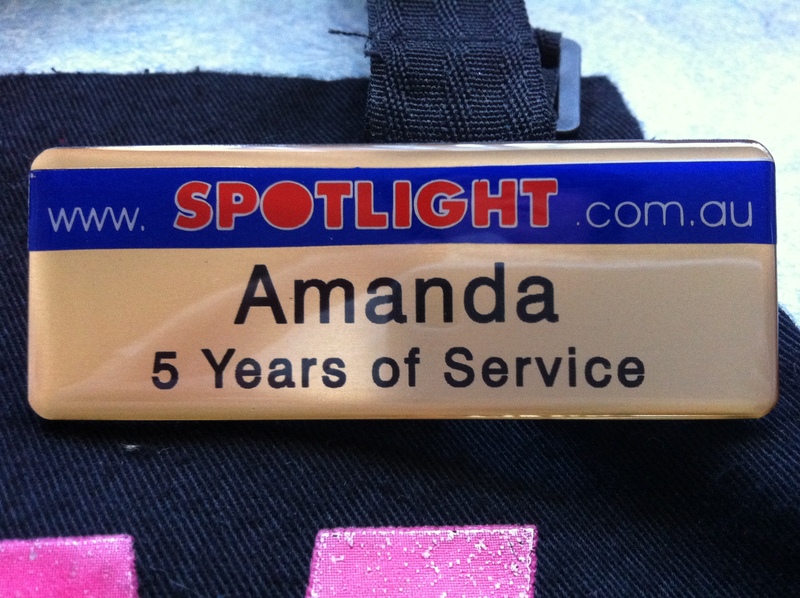 This one reminds me of a bigger version of Spotlight – minus all the home décor products. So, what’s happening on the sewing front I hear you ask? and slowly coming to the end of the pile – Hoorah! –getting ready to appliqué them onto a daring piece of grey Prima Homespun background. This is the first time I’ll be using a solid grey colour as a central feature on the front a quilt top – but I did a sneaky little check on the weekend to make sure it would all come together and I think it just might! I’m also up to the part where I need to start looking for a contrasting backing and binding as well as deciding on how to quilt it. Should I do it on my sewing machine like I always do OR continue the theme of ‘trying something new’ and hand quilt it?! Oh the decisions are driving me crazy! In the mean time, I’m also continuing on the Butterfly Baby Quilt I’m making for a friend. I was up to the stage of almost finishing the quilt top when I realised I didn’t have that feeling towards it like I do with other quilts I make. (When I say that feeling, I’m referring to the feeling that rises in you when you’re making something. You just know that it’s going to turn into a thing of beauty – you’re anxious and impatient to get it finished and hand it over to the lucky recipient. It’s that feeling of knowing that they’ll absolutely love it because you loved it and put all the right and positive energy into making it! I hope that makes sense? It’s quite difficult to explain such feelings towards a quilt-in-progress as your mood changes so often and inspiration comes and goes so easily…. It’s safe to say, I just didn’t feel that the quilt that was in progress was the right one to give – I knew I could do better!) And so, with that somewhat explained, I’ve started something new, something very modern and sweet featuring appliqué butterflies (pink, purple, yellow and floral on a clean white background) and I’m getting that feeling in doses and can’t wait to finish!! And I must finish soon as the little bubba’s due very soon! There’s nothing like leaving these things to the last minute! Eeepp! Here is my Summer Zig-Zag Quilt on display at my local Spotlight store (I recently left my job here) and I’m so chuffed at how good it looks. I have terrible judgement of how big or small my quilts turn out to be. When I was quilting this baby, it seemed a lot bigger than it seems here in the photo. But I love it – I had that feeling about it – and I’m going to be selfish and keep this one for me and my home. I was going to sell it but I’ve become too attached – something I try so hard not to do – but there are others half-made that I’ll finish in the future and sell. But that won’t be for a while as I have another two very important quilts to make on top of the Scrappy Hexie Quilt and Butterfly Quilt. Oh my! No more spur of the moment projects for me, I must stay strong! 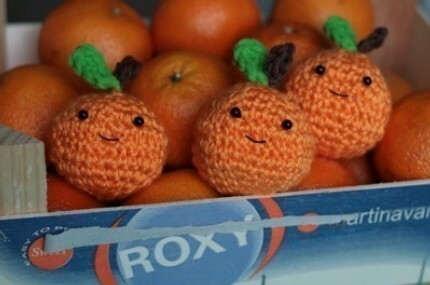 Another thing I’ve discovered in the past week is Amigurumi which is a Japanese art form where you crochet small animals or toys. 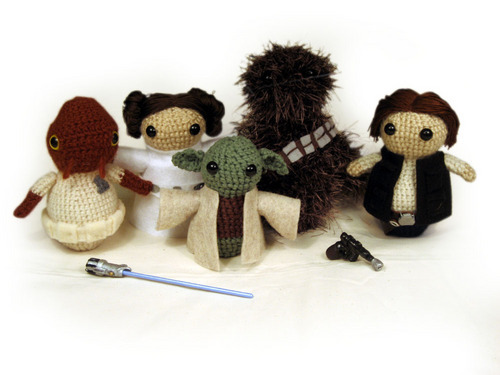 I haven’t made any, as I’m a hopeless knitter and know nothing about crocheting, so I’m more of look, admire and squeal at cutie little projects that brilliant Amigurumi artists have made. Some of things people have made are so awesome; I’m just blown away at how clever and ingenious some people are. Here are some of my favourites I’ve found of Pinterest…(where else?!). How lovely are they?! The Star Wars collection is by far my favourite! 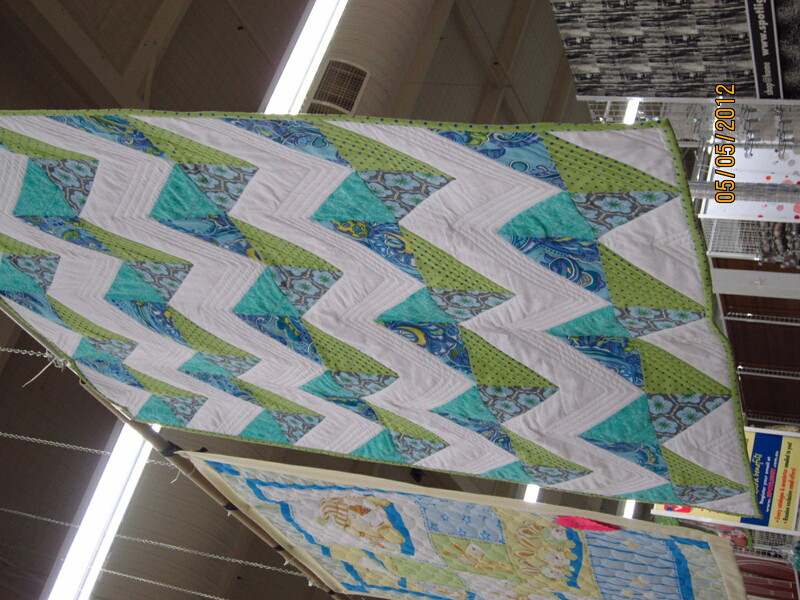 Previous PostA Summer Zig-Zag Quilt Next PostA Perfectly Honest Blog…. WOW!!! Lots of neat places to visit! Thanks for compiling the list. Visited several and ran out of time. Be back to look at the rest. This is one great way to find inspiration.